Call 0416 622 134 for a free quote - Expert Northern Beaches window cleaners that provide affordable window cleaning! 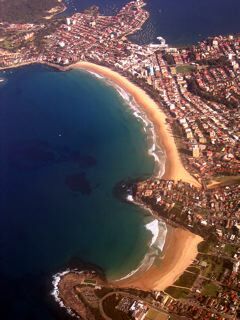 T he Northern Beaches area is famous for the most beautifully clean beaches in the Sydney region. Clear of all the city smog and noise, the relaxed atmosphere on Manly Beach is just the beginning. As you head further north you find Curl Curl beach, locally known for its big waves. Then on through North Curl Curl to Dee Why. More known for its restaurants and shops than for it's beach, Dee Why is the epitome of life on the North Shore; relaxed, enjoyable but not missing out on a single moment. It's no wonder so many apartments, flats and strata units were built here, close and convenient to shops, city and beach. Well known Warringah Mall is just over its shoulder and so is Brookvale Park, home of the Mighty Manly Sea Eagles. Rounding the headland of Long Reef uncovers Collaroy and Narrabeen. Beautiful family homes enjoy beach vistas and a perfect atmosphere for family living. With Narrabeen Lakes and Cromer over the back end being favourite family suburbs. Up past stunning Warriewood and into Mona Vale you find yourself at the base of the Pittwater. Mona Vale is the gateway to the upper Northern Beaches of Newport, Avalon and Palm Beach, boasting some of the most spectacular home real estate in Sydney. Accompanied by the tranquil unpopulated beaches, Mona Vale takes "relaxed" to a new level. The Beaches certainly are the focus of life on the North Shore, be it a brunch with friends, an afternoon ale, an evening meal or a late night cocktail. If you are on the north shore chances are you'll be doing so overlooking one of its fine selection of sand and surf. Not one of the beach vistas on offer would be spectacular if you were trying to look at it through dirty windows! Life on the beaches does bring with it the aspect of salty sea spray and mist which tends to dirty windows and balcony doors and railings much quicker than in other areas. A regular window cleaning schedule is a top priority for homes, cafes and shops on the North Shore allowing residents, patrons and customers to enjoy the magnificent views that make the Northern Beaches so popular. If your windows are looking like they are in need of a clean, it's not too late to contact Clean My Windows for a free quote and restore those clear, clean views of the pristine beaches we enjoy here on Sydney's North Shore. For the best North Shore window cleaner, give us a call. For your local window cleaning Sydney experts - call Clean My Windows.